Anonymous Commenters: Cowards Or Contributors? 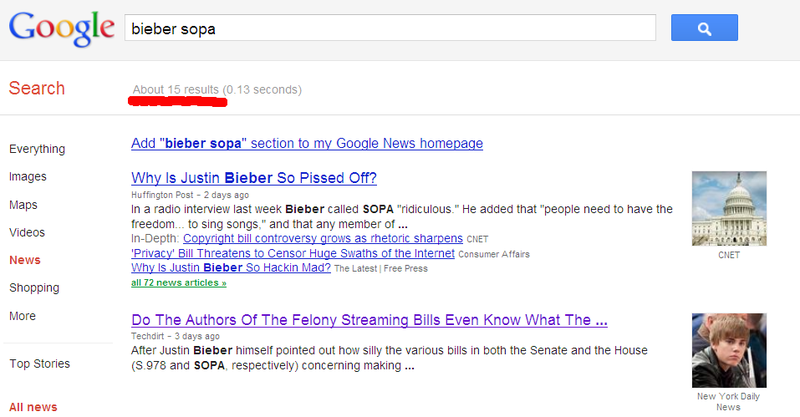 As pointed out by Harold Feld, it seems pretty messed up that our news media is going absolutely nuts over the story of the potential "Bieber baby," but has all but ignored the story of how the lack of clarity in the proposed SOPA law might mean Justin Bieber would go to jail for his performances of other people's works on YouTube -- something Bieber himself has spoken out against. Let's take a look. 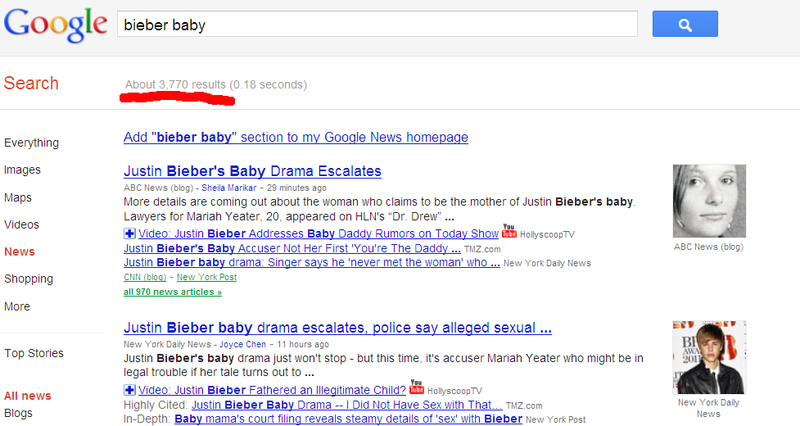 A basic Google News search on "bieber baby" turns up... 3,770 news stories: And then let's do a search on "bieber sopa." For that... we get... a grand total of 15 news stories (including one from Techdirt): Which story is actually more important? The one in which the government makes massive regulatory changes to the internet that will create felons out of ordinary people? Or the story about a baby that a pop star may or may not have fathered? Let's look at two consecutive Techdirt headlines, shall we? While I actually agree with a lot of what Mike says, I think these two headlines are simply hilarious in sequence, because it shows that the burial or non-burial of "good content" is irrelevant if it's never created in the first place.